This will be a giant post full of many products. 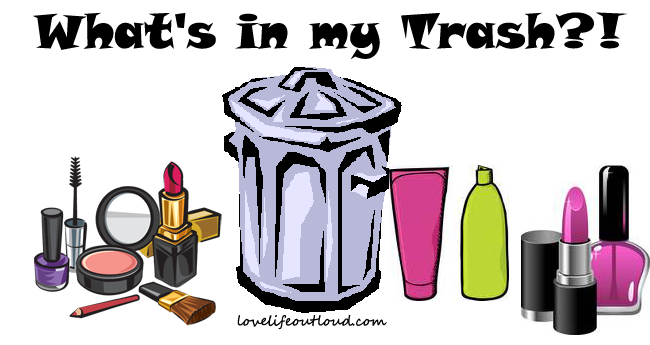 Basically I want to switch up the format of how I do my empties posts and in order to do that I needed to just get out all the images of empties that I had already written names on. Confusing? Yes. Basically how it is now it is a long bullet list and at the end there are pictures of everything and I've overlaid text on top of each image so it's easy to figure out which item is which. I'm doing away with that and you'll see the new format next month so that's why there is such an odd number of products here because I just needed to get rid of everything on my hard drive! Anyways, enough of that, on to the empties! Pssssst! Dry Shampoo. This was awful, there was a white cast plus my hair never felt clean. I got it in a mystery bag and will never buy it for myself. Etude House Drawing Eye Brow. Favorite brow pencil ever, I have so many of them I don't think I'll run out anytime soon. Style Y Natural Sketch Eyebrow Tattoo. Something I got from a Memebox, it wasn't the best item ever, especially since it dried up really fast. It was pretty nice the first two or three times I used it but then it was basically out. Not something I would buy. Johnson's Baby Shampoo. This is what I use to clean my brushes and it gets the job done. Right now I have a bottle of elf brush shampoo but once that is out I will definitely pick it up again. Clear Care Lens Solution. Favorite contact lens solution, this is the brand I will continue buying. Aveeno Daily Detoxifying Scrub. A great morning face wash, once I'm done with my cleanser stash I will definitely pick this up again but for now buying is on a pause. Icon Cure Replenishing Spray. This wasn't a very special spray, it didn't do much for my hair except make it feel dirty so I'm glad it's gone and I won't be buying it again. Daiso Foot Mask Pack. This was only a dollar and it did a pretty nice job moisturizing my feet. I would definitely buy this again since it's so cheap! SukiFace Concentrated Balancing Toner. I was actually a huge fan of this toner, I loved that it was in a spray so it was very refreshing in the morning. It was a little pricey though so I probably wouldn't purchase it again, also because I have a huge stash of toners right now. Michael Todd Pearl and Silk Facial Mask. This mask really did nothing for me, not something I would purchase again. Michael Todd Pumpkin Facial Mask. When I first started using it I thought I was allergic to the mask, but I kept using it anyways and my skin finally got used to it. Overall my skin felt very smooth and clean immediately after use but there weren't any long term benefits for me. I still have another tube since I got it as a set off GroupOn but after that, I won't be repurchasing it. Juice Beauty Stem Cellular Moisturizer. I wasn't a fan of the smell, kind of an apple/ginger hybrid. It also made my face very greasy so I won't be buying this. Crest 3D White Toothpaste. This was the toothpaste I kept in my overnight bag, I'm usually a Colgate girl, but this did the job and it was just whatever I grabbed from the travel section of Target. Skinfood Honey & Shea Butter Hand Cream. This was very greasy, I ended up using this on elbows and knees instead of my hands, but still not something I would buy. Absolute! Nail Polish Remover Pads. These remover pads are very handy but not very effective. I still have a few little pods of these but after those are gone I don't think I will buy it again. Eyeko Skinny Mini Eyeliner. This stuff dried up so fast, not something I would buy especially since it's very pricey. Derma House Deep Cleansing Cream. This was very average performing, not something I would buy. InstaNatural Vitamin C Serum. I LOVED this serum, once I use up my serum stash I will probably buy this again because my skin loved it! Notoriously Morbid Coffin Kisser in Vanilla Veil. I have Coffin Kissers in so many flavors so I have a nice stash to use up. These were great lip balms and something I will probably keep purchasing. April 30 Day Challenge Recap! Golden Tote March 2015 Reveal!